This article in Korean recounts the my “Jewel of Great Price” report in Korean. The question raised is how the great tradition of organic farming from Korea’s past can be brought back to life in our age. The New York Times carried this article today about bibimbap, the Korean dish in which a variety of vegetables are mixed together with rice in a bowl. 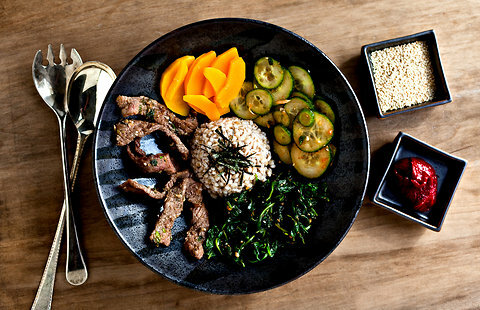 The article, titled “Easy Korean Bibimbap for Home Cooks” presents the dish in an aesthetically pleasing manner, and suggests it is an excellent health food–which it is. 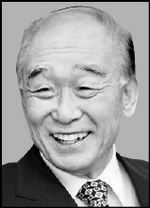 The article is indicative of a major shift in the perception of Korea. No longer a rough culture for adventurous Americans, Korea is becoming a much more polished cultural identity with cultural depth. I will be speaking at 3:40 at the international conference of the Korea-China Social Science Conference (한중사회과학학회: 국제학술대회； 韩中社会科学学会：国际大会)to be held at Yonsei University tomorrow, Wednesday, February 22, 2012. My talk is on the complex relationship between China and the United States (talk is in Chinese). This article outlines a plan for revitalizing rural Korea with an emphasis on traditional goods and architecture. This article argues that in Korea there are plenty of extremely creative people. The problem is simply that organizations do not let them realize their potential. There are several underlying factors behind the reluctance of Koreans to demand high proficiency in Korean from foreigners. It is a platitude that the world is growing smaller. Whether reading through Frances Cairncross’s “The Death of Distance” or Thomas Friedman’s “The World is Flat” one gets the impression that the growth of new technologies which link us together reduces distance between us and makes the world smaller, more connected. Although it is hard to imagine how seven billion people could ever be a single group, a global village, there will be few objections if I say that “technology is making the world smaller” at a cocktail party.